The Amalfi is just a save bet – even on a day like “Knabenschiessen” when half of the city is kind of closed, the Amalfi is open and offers a good selection of dishes for lunch. 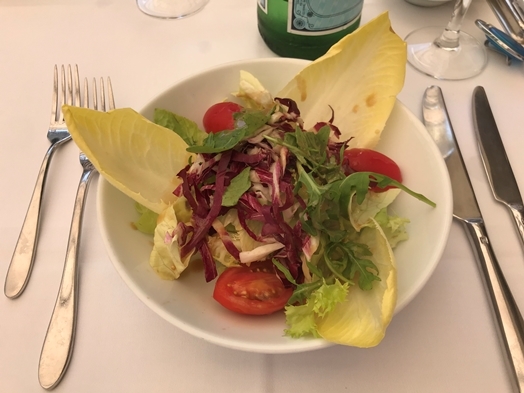 The “menu salad” is not a simple green salad but richly garnished. 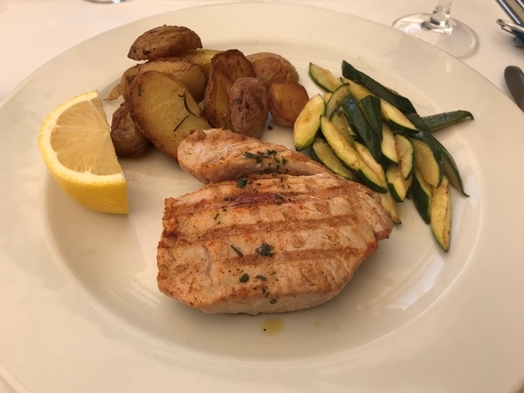 The “tagliata di tonno con zucchine saltate e patate al rosmarino” (CHF 32.00) was okay (although it looked a bit sad on the plate) but the tuna was overcooked – which matters especially since the waiter specifically asked if I wanted it ‘medium’. Well, it wasn’t. Still, it was okay. 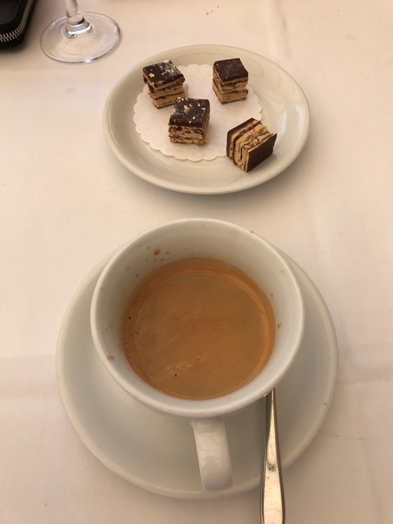 The price for a “double espresso” is with CHF 7.00 on the okay end of Zurich but the coffee isn’t good – they ‘compensate’ for it with some friandises though. The waiter was very jovial and friendly but overdid it a bit – it is nice to be funny, it is nice to be joking, and it is nice to be jovial. But, it’s still your job and I’m coming to a restaurant mainly to have a good meal and not so much to be entertained. Still, the Amalfi remains a sound solution for a brief lunch.